Sepak Takraw has experienced gradual growth across North America and Europe, (the newer regions involved in the sport), thanks in part to the tireless efforts of NETPRO's founder, Richard Engel. 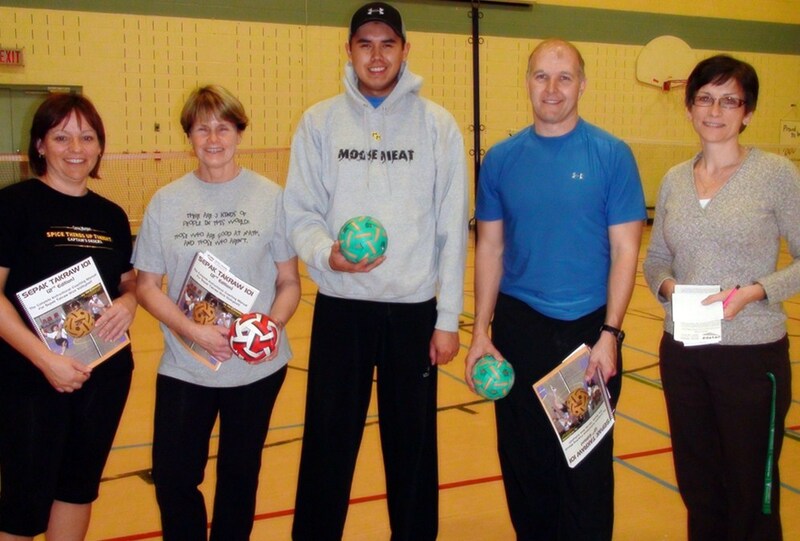 He has been busy writing/publishing instructional materials and helping produce DVDs designed to help schools incorporate Sepak Takraw into their P. E. programs. The Sepak Takraw 101 Instructional/Coaching Manual has especially been successful as a key resource used in training all over the world ... it has in fact even been translated into the Indonesian language and put into schools all over the country there. But there is nothing like actually seeing Sepak Takraw being played on a DVD to get students and potential new players motivated and excited about the sport! NETPRO carries a collection of DVDs that both instruct and inspire. Sepak Takraw - Just For Kicks, is an instructional DVD that has become the class instructor in programs all over the world, demonstrating all the basic and some advanced skills in the game ... so the teacher doesn't have to. There are several DVDs of full matches, two of which are fully narrated, and two which are close-up raw footage. In any event, more and more successful Sepak Takraw programs all over the world are also using these materials to teach and certify their Coaches and Referees. The Sepak Takraw Association of Canada (STAC) is playing a leading roll in this area, working with the Coaching Association of Canada (CAC) to develop its National Coaching Certification Program (NCCP) for Sepak Takraw. Way to go Takraw Canada! - 62 pages, handy booklet size (5 1/2” X 8 1/2”) is ideal to have at intramurals or tournamen..
- 122 pages, 8 ½” X 11”, Includes EVERYTHING needed to plan and run a school/community/club ..
- 64 pages, 8 ½” X 11”, Includes all that you need to observe, analyze and evaluate players�..
- Brilliant full color, 19" X 28", glossy finish. - Excellent motivational teaching tool. - S..